Being devoted dog owners and keen agility enthusiasts we really understand the needs of your dog. Agility World brings you a complete range of high quality dog accessories, suitable for every canine companion, be they a fireside lazybones, a playful pup or a top dog athlete. 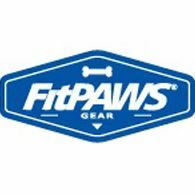 From coats, leads to dog beds and toys, this is your one-stop shop for all your dog accessories.